October in the popular imagination is supposed to be the month when we step lightly into the ‘normal’ life, when you finally manage to rearrange your time schedule including the essential-for-your-self-esteem swimming class, the well deserved drink with your best friend, the quiet, calm and old style hour under the wool blanket reading your last book. This year I’m not yet there, I’m still struggling to reach my balance of warm socks, soft scarves and well organized calendars. Hopefully November will bring the lilting rhythm of winter, in the meantime I try to carve out when I can a few minutes of stillness, in a ritual that gives me peace of mind. 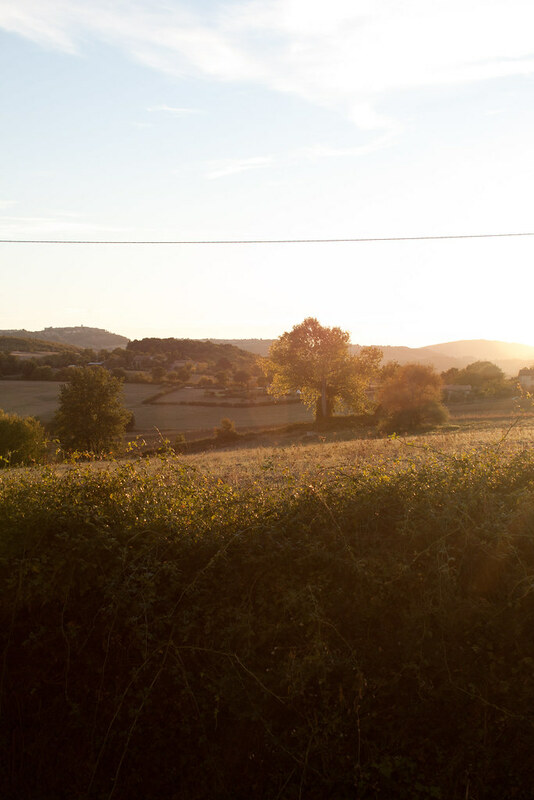 The protagonist of my ritual is the 6pm slanting light, the light of the afternoon that is getting shorter day by day, the light of the resting sun that casts warm golden glows on any surface it caresses. Usually in this moment of the day I’m in the car, coming back home from the office, listening to the radio and dancing with my dreams in the afternoon light, lost in its games between the branches of trees. I escape from reality and take a deep breath in the favourite corner of my mind. 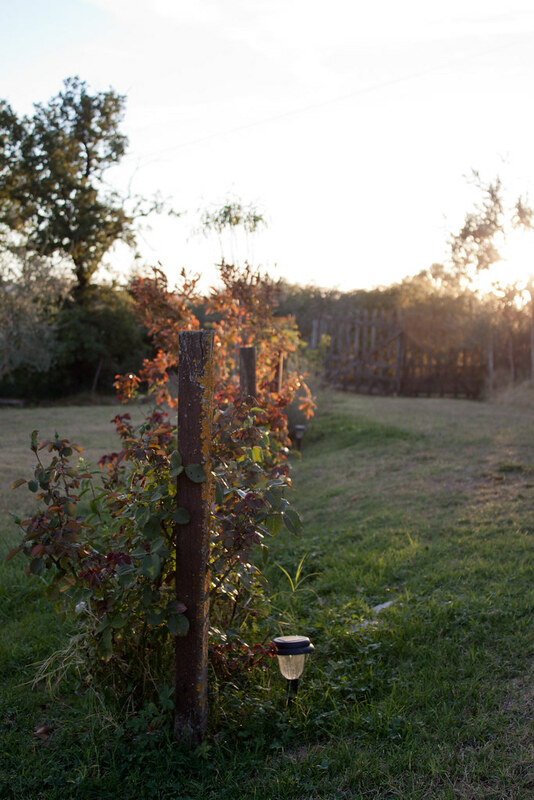 I built there an ideal pub where I can chat with my friends, enjoying the last sun of the day in the garden behind the kitchen, over a small stream that runs lively a few meters below. The tables are made of dark wood, worn out by the time, the hundreds of hands, dishes, glasses and elbows that have found a perfect support on that surface. The benches – made of wood – are solid and secure, steadily standing on a gravel-covered courtyard. Around the tables groups of friends are spending some free time together, gathered here after work to rethink, revise, play down and delete with a laugh the blue moments of the day. Someone sits alone, a little aside, with the precious company of a book or his thoughts. Glasses of all kinds are scattered on the tables, the perfect playground for the last rays of sunshine playing hide and seek and gleaming with the amber and warm colours of beer. I really love spending some time in my mental pub, with the first scarf of the season and the brisk air that is reddening my nose: a moment of me time, when I can clean my mind and refresh my karma. I’m not a big beer drinker, not to mention a connoisseur, but I do love the fried potatoes with salt flakes that come along with the beer, as well as those British meat pies, a perfect dinner in a late autumn afternoon with a pint of beer. 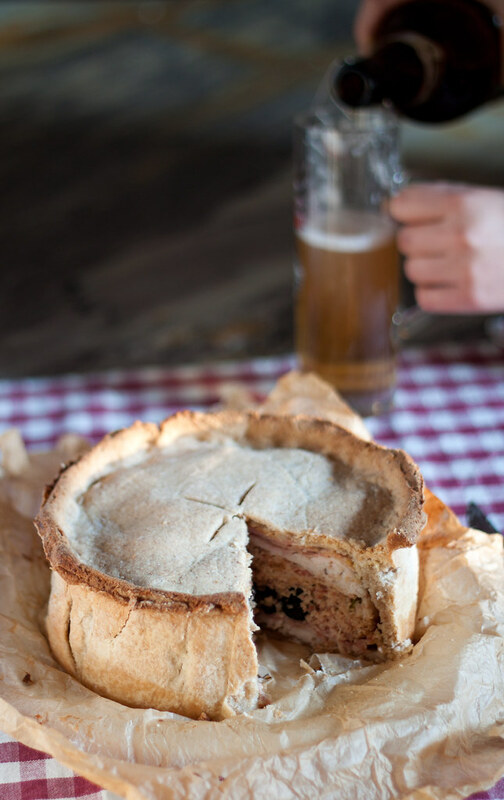 Which beer would you suggest to match with this turkey and smoked bacon pie? It’s your turn to suggest an interesting pairing! The ingredients are mainly the turkey, dressed up with sweet, juicy onions from Tropea and the pimentòn, the smoked Spanish paprika that turns any dish into a tempting alchemy. If every now and then at 6 pm, during the afternoon golden hour, you will have the impression that I am a bit absent and I am not listening to you, don’t take it personally, it’s just that I have run for a while there, called by the clinking of glasses mingled with friends’ laughs and by the tempting smell of a rustic meat pie served with a nice spoonful of pungent mustard. On a low heat, cook the onion in the butter for 4 - 5 minutes until soft. In a food processor, mince half of the turkey meat, the smoked bacon, the pimentòn and the sea salt. Remove the meat from the food processor and combine it in a bowl with the onion and a handful of black olives, using your hands to mix thoroughly all the ingredients and have a smooth stuffing. Put the remaining turkey thighs between 2 sheets of cling film and batter them with a rolling pin to roughly 1 cm thickness. For the pastry, mix the plain flour and the whole wheat flour with salt and the pimentòn in a bowl and make a well in the centre. Combine the melted butter and water in a saucepan and bring to the boil, then stir into the flour with a wooden spoon to form a smooth dough. Leave the pastry for 5 minutes to handle. Line a 20cm wide, 10cm deep pie mould with grease proof paper and grease everything lightly. Take two-third of the dough and roll into a circle large enough to line the pie mould and with excess to hang over the edge. Carefully fill any tears or breaks. Cover the bottom of the pie with half the sliced ham and half the remaining turkey, followed by all the bacon and turkey mixture, seasoning between layers and pushing everything down as you go. Follow with the remaining ham, then the remaining turkey, remembering to season between each layer. Brush the edges with the egg yolk and cover with the pastry lid. Carefully crimp the edges to create a seal and trim the edge with a knife. Brush the pie with the egg yolk and make a hole in the middle of the pastry lid. Cook for 1 hour. Remove the pie from the mould using the grease proof paper to help you and brush the sides and top again with egg before baking for a further 15 minutes. 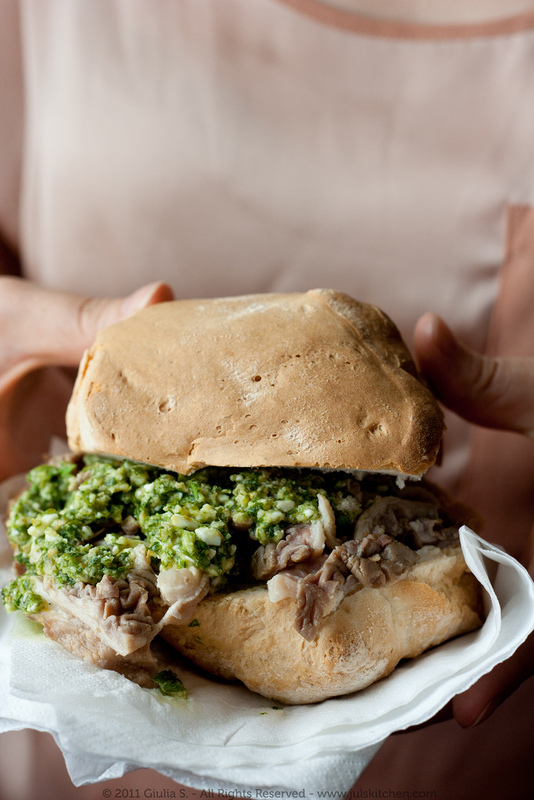 Serve it with a generous dollop of mustard and enjoy it! A wonderful pie! Great flavors and gorgeous looks. What a lovely post, i think I will meet you in that pub tonight so we can have steak&ale pie with chunky chips and a Guinness! 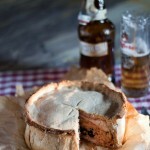 For you pie I would say: English Cider ! 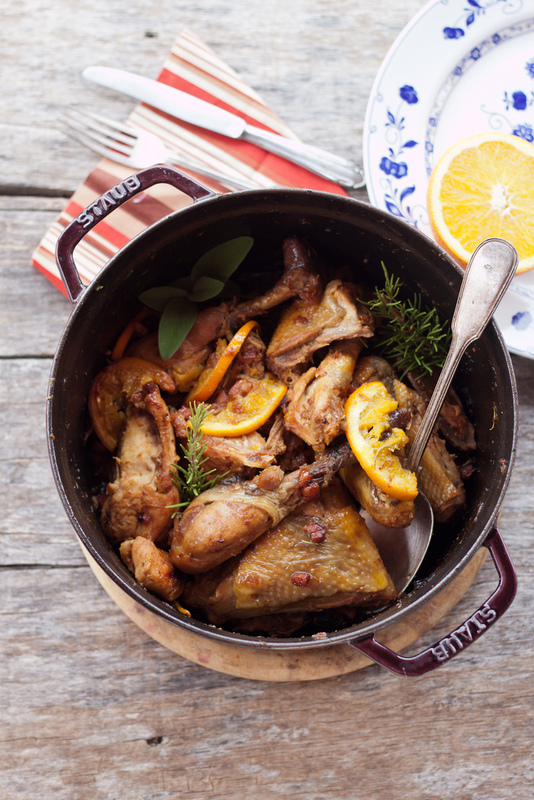 Your scenery always look amazing on your photos..and recipe sound very rustic and delicious at the same time..Great post!!! 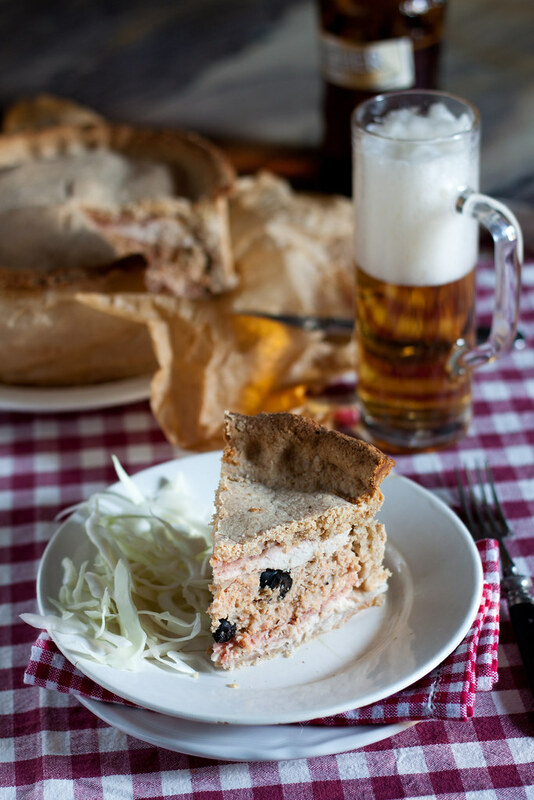 I’m thinking some kind of honey beer myself – would be great with that crust! I don’t drink beer but I have no problem eating this! 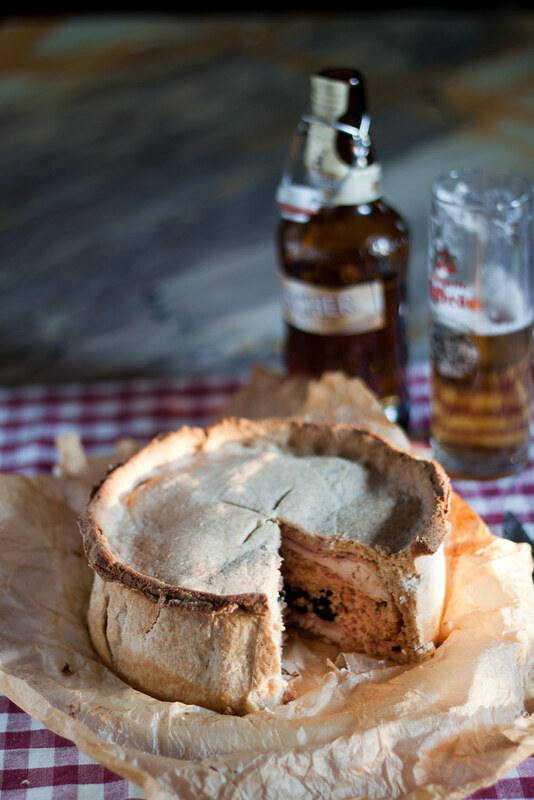 Love the rustic look and flavors of this pie. Looks incredible. I am not much of a beer drinker either but I do admit every now & then I get a craving and this pie is perfect. German beer is strong and would really hold up with the flavors here. What a very interesting pie….I’d have to try it! Personally I’d go for a Belgian gueuze – just a perfect match with its slightly cidery taste. But alas – I wouldn’t know where to find one in Tuscany (anybody out there who knows more than me?). That pie looks amazing! Perfect for a winter night in front of the fireplace followed by roasted chestnuts and mulled wine!! I will have to find a fire place!